Are you looking for new shirts for your workplace? 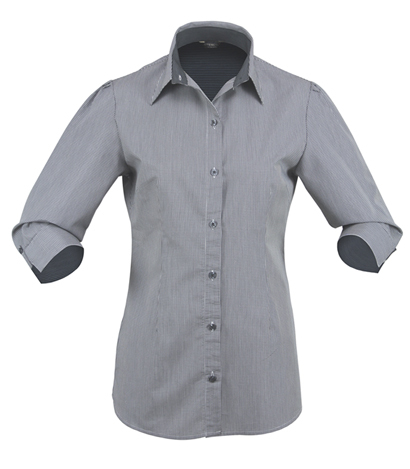 The Dominion Ladies Shirt is a great choice for hospitality and foodservice businesses. With it’s lightweight blend of 65% cotton and 35% Cool Dry fabric, these are a great next choice for uniforms or promotional shirts. 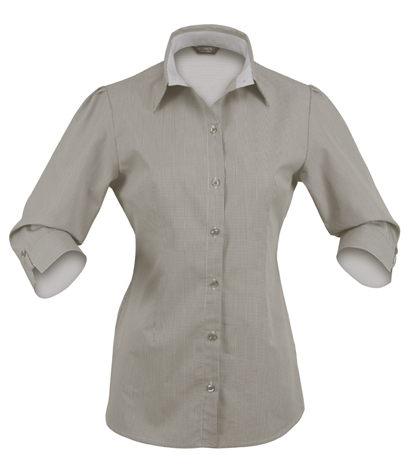 Matching up with the men’s short sleeve and long sleeve versions, the Ladies Dominion Shirt rt is breathable with a semi-fitted cut, quick drying and easy care finish. With a contrast stripe pattern inside the collar, cuffs and yoke, these shirts look great and are comfortable for long and short shifts. The yarn treated moisture-wicking material means these shirts are great for the restaurant, cafe or hospitality environment. Available in three colours – black, mid blue and chamoisee – and in sizes 8 – 22, these promotional business shirts are a great fit for any business. If you want your staff feeling comfortable, fresh and cool all day, the Dominion Ladies promotional business shirt is a great choice. Combine the ladies shirt with the long sleeve and short sleeve men’s range to provide a professional and cohesive look across your business.